Just like the wall, the floor is among the most noticeable areas of a room. But unlike the wall, the floor is tortured every time. That's why flooring must not just be good-looking but must also be sternly durable. A floor that is not yet pleasing to the eyes and durable at the same time needs an immediate attention. Whether you need flooring design, installation, maintenance, or all of these, Neal Ragan Construction can be of big help. We have been keeping property owners in Tennessee, specifically Bristol, Kingsport, and Johnson City, happy with our variety of construction services that include excellent flooring. We also have offices in Damascus and Abingdon, Virginia. Flooring design is the most delicate part of the process. It's creating a plan that will guide installation and maintenance. This is the stage when choosing among resilient flooring, man-made stone flooring, and natural stone flooring will be made. Resilient flooring is made up of elastic materials like rubber, cork, vinyl composition tile, sheet vinyl, and linoleum. These materials are flexible indoors, but they're commonly used for performance surfaces like for the dance floor or a gym's floor. Man-made stone flooring is more durable compared to the resilient flooring while adding a more elegant aesthetic. 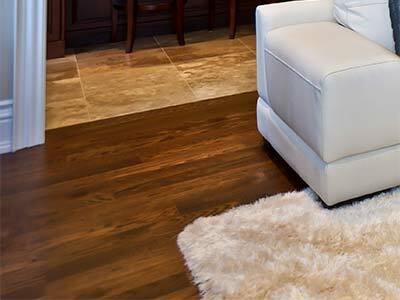 As the name implies, this type of flooring mimics the look of natural stone, thus it is generally cheaper. Among its common varieties are Terrazzo, unglazed ceramic, glazed ceramic, brick pavers, Mexican tiles, and concrete. 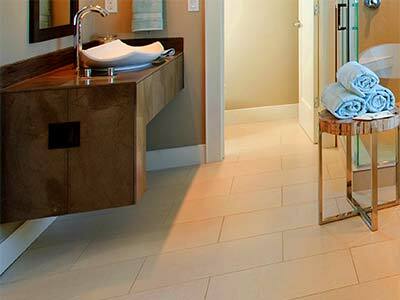 Natural stones, compared to man-made stones, create more durable flooring. Although more expensive, these stones are guaranteed to last more than a lifetime. Marble, slate, and granite are among the most commonly used flooring stones. There is another type of flooring that is gaining more popularity- the renewable floorings. Going green doesn't have to be so unstylish because bamboo, cork, linoleum, and FSC lumber will provide varied choices. Speaking of style, different flooring designs can be made out of these different materials. Combining two or three types will create a huge difference on the design, although choosing the right combination can be quite daunting. Each of these materials has its special applications. For instance, hardwood floors may be great for the patio, but certainly not in the bathroom. The difficulty of installing the floor depends on the chosen material and design as well as the quality of the existing surface. Some flooring materials, like the carpet tiles, can be installed as easy as gluing them together. But other materials, especially hardwood and natural stones, need more work. Although some flooring types can be installed easily, there are still some preparations needed to be done before doing so. Without these, the floor will most likely be damaged prematurely. Installation often involves ripping out of the old floor, cleaning the surface, treating it, adding some adhesives, laying down the material, setting the material, and laminating it. More processes may be necessary. But the most important is to install the floorings the correct way. Making the right decision with the array of choices can really be confusing. We will guide you from planning to the finishing touches. Give us a call right now for your free flooring estimate, consultation and reference. Let Neal Ragan Construction be your partner for this significant home-changing project.